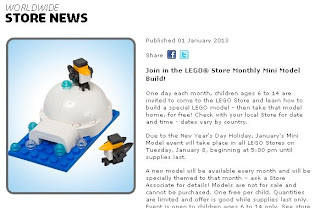 LEGO Stores invite kids age 6 to 14, one day each month to learn how to build a special LEGO model - then take that model home, for free! Check with your local Store for date and time - dates vary by country. My lil Buddy who is 8 loves Legos! This sounds like fun!